The following scholarships are open on a national level. The Sallie Mae Fund is the charitable organization under the Sallie Mae umbrella. The organization’s mission is to “increase college access for America’s students –- by supporting programs and initiatives that help open doors to higher education.” The organization is able to continue its mission with several partnering entities. These partnerships have helped the Sallie Mae Fund award over “$15.5 million in scholarships to more than 6,350 students” since 2001. Many of the recipients of the First in my Family Scholarship have left testimonials describing what the scholarship funds did to help them. Funds to cover financial hardships, travel costs, books and tuition are often cited as examples of how the monies from the Fund were used. Considering that many Latinos are first-generation students whose families reside in immigrant enclaves, there is a definite need for this type of scholarship. In order to make an applicant as competitive as possible, the Fund developed eligibility requirements. Some of these requirements include being American citizens or permanent residents living in the United States. Students should also be enrolled in accredited higher education institutions as full-time students. Finally, students should maintain a minimum of a 3.0 grade point average, on a 4.0 scale to qualify for the scholarship. Typically, these scholarships will range between $500 to $5,000. The First in My Family Scholarship is a national scholarship open to all Latinos in the United States. Within the organization’s mission, increased access for Hispanics across many different processes is also fundamental to the organization. A branch of this mission is CHCI’s Scholarship Program. The CHCI’s Scholarship Program is intended for Hispanics that have a proven history of public service-oriented activities within their communities. The organization looks for Hispanic youth who are active and engaged citizens. The youth must exhibit a strong investment in themselves and their communities. Usually these students have a passion for civic engagement and are always looking for new ways to improve their communities and the Hispanic community as a whole. Full-time enrollment in a U.S. Department of Education-accredited community college, four-year university or graduate/professional program while applying for the scholarship. The student should have a strong financial need or hardship. The student should be an effective communicator. The CHCI Scholarship Program highly values a strong writing ability. The student should be a legal permanent resident or citizen of the United States. With this one-time scholarship, students can cover their higher education costs. Things like tuition, room and board, textbooks and other expenses can be funded with the Scholarship Program award. The scholarship amount depends on what type of institution that the student is enrolled in. For instance, a student in community college or “AA/AS granting institutions” will receive a scholarship for $1,000. Students who are enrolled in four-year higher education institutions are eligible to receive a one-time award of $2,500. Finally, students enrolled at graduate-level institutions are eligible to received a scholarship award of $5,000. Unlike other scholarship programs, CHCI sends the checks directly to the student scholarship recipients. As long as the student maintains a good academic standing, CHCI will fulfill the scholarship. Founded in 1996 by Shirley Rodriguez-Rememeski, the national 100 Hispanic Women is an organization that guides Latinas towards excellence in leadership. The organization further defines its mission as inspiring Latinas “to maximize their strengths and potential, in order to become equal partners in an empowered world of equal opportunity with equal justice, recognition, respect and dignity.” The organization primarily serves Latinas within New York City and its surrounding geographic area. The organization developed the Young Latinas Leadership Institute (YLLI) in 2002 to propel its mission forward. The YLLI is meant to “enrich the college experience” of Latinas. In order to qualify for this program, Latinas must be enrolled in a four-year CUNY college and maintain a minimum of a 3.0 grade point average. The program targets recent high school graduates who are entering a CUNY college as a freshman. Since the program’s inception in 2002, YLLI has provided thirty-five Latinas with three-to-four-year scholarships. Thus far, YLLI has awarded over $144,000 to its scholars. The program continues to grow in competitiveness as the program only offers five Latina scholars awards each year. If accepted into the program, Latina students must also make a three-year commitment to participate in the organization and its activities. For instance, there are three educational workshops that participants must attend. Awardees are also expected to exemplify leadership in their communities. TACHE awards two fellowships. One of the fellowships is reserved for a professional student “whose career emphasis is in community college education.” The other fellowship is intended for a student whose professional concentration focuses on university/post-graduate education. In order to be a competitive candidate, there are a number of eligibility criteria. First, the TACHE is looking for students of Chicano or Latino heritage. The TACHE defines Latino heritage as “one parent fully Hispanic or each parent half Hispanic. Applicants should also be enrolled full-time in accredited U.S. universities in a “degree-seeking program.” Finally, the applicant must have a minimum of a 3.0 cumulative grade point average. The TACHE application is relatively standard. They ask for a completed form, a copy of school transcripts and proof of current enrollment, two letters of recommendation from faculty at the higher learning institution, a resume, a description of activities that the applicant participates in related to the Chicano/Latino culture and community in Texas and a photograph. Apart from these standard documents, TACHE also requests a two-page personal statement. In the personal statement, the TACHE is looking for the applicant to address their socioeconomic background, family and financial responsibilities and other factors that can be considered obstacles in attaining graduate studies. The Jose Marti Scholarship Challenge Grant Fund is a scholarship specifically designed for Hispanic students living in Florida. It is a need-based scholarship that is a based on a student’s cumulative grade point average. A cumulative grade point average of 3.0 or an institutional grade point average of 3.0, for undergraduate students, is the minimum GPA needed in order to qualify for the fund. Though this need-based scholarship is open to all Hispanic students studying in Florida, there is more of a desire to fund graduating high school seniors. The funds are acquired from a number of streams. While private donors play an instrumental role, government funds, like those from the Florida Legislature, are also important in making the scholarship awards possible. The applicant must be a Florida resident. In other words, only United States citizens or eligible non-citizens may apply for the Jose Marti Scholarship Challenge Grant Fund. The applicant must have a grade point average that falls between the 3.0 and 4.0 grade point average bracket. The applicant must be enrolled in higher education institutions with a certain number of credit hours. For instance, undergraduate students must be enrolled in, at least, twelve credit hours. For students pursuing graduate degree, at least nine credit hours are required. The Jose Marti Scholarship Challenge Grant Fund has other additional notes for a couple of the eligibility criteria. A principal or other school authority, i.e. “someone who has been assigned the authority to verify” an applicant’s record, must confirm the veracity of the applicant’s grade point average. The fund also prioritizes funding students with a real financial need, or experiencing a financial hardship. The scholarship exists in order to relieve part of the financial burden that higher education can signify for Hispanic students and their families. Therefore, the Jose Marti Scholarship Challenge Grant Fund asks that all applicants fill out and complete a Free Application for Federal Student Aid (FAFSA). The Jose Marti Scholarship Challenge Grant Fund awards students with a full scholarship amount of $2,000. Thus far, over $3.8 million dollars in scholarship funds have been awarded to students in Southern California. Geographically, the awards target students and communities in Los Angeles, Orange, Riverside, San Bernardino and Ventura Counties. Students should be current and enrolled high school seniors with a minimum grade point average of 2.7. Students should be eligible to attend a higher education institution. Accredited two- and four-year colleges, universities or vocational/technical schools “with a complete course of study” all qualify as higher education institutions. Applicants cannot be older than twenty-one years old. Applicants must reside within the geographic limitations of the scholarship. The boundary that HACER designates is within Los Angeles, Orange, Riverside, San Bernardino or Ventura Counties. Students may apply for other scholarships from the Ronald McDonald House Charities of Southern California. However, only one scholarship will be awarded. In order to stay compliant, students must also share with the organization any other scholarships that they have or are planning on applying to. All other scholarship awards must also be disclosed. Students must also be willing to disclose any supporting materials when prompted. Each year, the Ronald McDonald House Charities of Southern California will award forty scholarships to forty students. Each scholarship will be worth $2,000. Furthermore, $1,000 will be “renewable each year for up to three additional years for a total scholarship value of $5,000.” The decision makers of this competitive process are an advisory board made up of educators and community and civic leaders of the community. Funds from the organization will be used towards the student’s college experience. Though the funds will directly benefit the awardees’ college experience, the Ronald McDonald House Charities of Southern California will not pay the student directly. Instead, the organization will send a check directly to the higher education institution where the student is enrolled. Things like “tuition, fees and other appropriate educational expenses” will be covered by the funds. Recipients of the scholarship awards will not be reimbursed. The Spanish American Institute (SAI) is a non-profit organization. The mission of the organization is “dedicated to providing educational assistance to Hispanic students in Southern California.” The organization aims to combat what it views as obstacles that hold back many Hispanic students from entering higher education. One of the obstacles is the financial burden of a post-secondary education. The other obstacle is inadequate academic preparation; this type of preparation is necessary in order to compete with peers. The SAI Scholarship also has geographic limitations. Only Hispanic students who reside between San Diego and San Luis Obispo in Southern California are eligible. The Spanish American Institute gives geographic markers like the area of the Cal-Pac Conference to give this area more context. It is important that applicants also be full-time (a minimum of twelve units per semester) students enrolled in an accredited community college, four-year college or university or vocational/technical program. Applicants must have a cumulative grade point average of 2.5 from high school or college. All high school and undergraduate students of Hispanic descent living in the United States are eligible. Citizens, permanent residents and undocumented students are all eligible to apply. However, the Spanish American Institute prefers undocumented students who are AB540. Graduate and PhD candidates are not eligible to apply for the scholarship. Individuals cannot receive more than one SAI scholarship. The following is a scholarship that is optimal for Mexican-American women. The Chicana/Latina Foundation is a non-profit organization that works to promotes the the “professional and leadership development of Latinas.” In order to achieve this promotion, the organization will impact all aspects of Latinas’ lives. The Foundation is invested in the personal, educational and professional advancement of Latinas. One of the organization’s main programs is the Scholarship Program. Each year, the organization awards merit-based scholarships, instead of need-based scholarships, to Latina college students. The scholarships are each valued at $1,500. 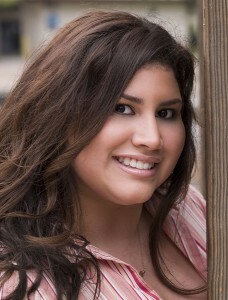 In 2012, the Chicana/Latina Foundation will award forty scholarship awards to forty deserving Latina students. The Scholarship Program is only for women of Chicana/Latina heritage. Applicants must be enrolled in an accredited college, university or community college. The higher education institution where the applicant is enrolled must meet the geographic limitations of the program. The Scholarship Program is only for institutions in Northern California counties. For the Foundation, the counties of Alameda, Contra Costa, Marin, Monterey, Napa, Sacramento, San Francisco, San Mateo, Santa Clara, Santa Cruz, Solano, Sonoma and Yolo are eligible. Applicants must also have lived in one of the aforementioned counties for at least two years at the time of the application in order to eligible. All applicants must commit to attend one weekend in August and one weekend in February during the Chicana/Latina Foundation’s CLF Leadership Institute upon being selected. Within a year of accepting the scholarships, participants are expected to give ten hours of their time to the Chicana/Latina Foundation. While past awardees are eligible to reapply, these previous recipients must wait four years before reapplying. Furthermore, the Chicana/Latina Foundation has different requirements depending on the degree that the applicant is pursuing. The students must be enrolled as full-time college students at the time of the Chicana/Latina Foundation Scholarship Program application. Applicants are also expected to already have completed twelve college units after high school. Credits obtained during high school do not count towards the Chicana/Latina Foundation Scholarship Program. Applicants are expected to have maintained a grade point average of at least 2.5 at the time of the application. Students at the graduate level are expected to either a) already be enrolled in graduate/professional programs — these students will be in the process of completing a course, thesis or dissertation; or b) already be accepted into a graduate/professional school. Students at the graduate/professional are also expected to have a cumulative grade point average of 3.0 of college course work. The following is a scholarship that is ideal for Puerto Rican women. The Scholarship Application for Students of Puerto Rican Descent, posted on the Hispanic Fund website, is an application specifically targeting Puerto Rican students. It is a scholarship award that can range from $500 to $5,000. Applicants must be either be Puerto Rican or of Puerto Rican descent. Applicants must be a citizen of the United States residing in the United States or in Puerto Rico. The scholarship panel will favor students living in Puerto Rico. Applicants must either already be accepted or plan to enroll in a college or university in the United States or Puerto Rico for the upcoming academic year. Applicants must either already be or plan to be enrolled as full-time undergraduate students. Applicants must earn and maintain at least a 3.0 grade point average. Applicants must be able to clearly demonstrate their financial need. The Scholarship Application for Students of Puerto Rican Descent is sponsored by Ford. The following is a scholarship that is ideal for Haitian-American women. The organization began in 2001 in order to address the overwhelming need of the Haitian American community. No other organization at the time “addressed the vast scholarship needs of our young High School graduates or financially strapped College students.” It is the organization’s hope that a college education will not only benefit the individual, but also benefit the community as a collective. Thus far, the Haitian American Scholarship Fund has been able to assist the Haitian American community in a number of beneficial ways. The organization has awarded almost $90,000 in scholarship money. The funds for these scholarships have been collected by private donors and other institutions. Almost $60,000 has been raised in private donations for scholarships. The organization has also worked closely with other higher education institutions to assist the Haitian American community. The collaboration between both entities has pushed forward more scholarship creations. For instance, in conjunction with the Haitian American Scholarship Fund, Barry University created a two-year scholarship for Haitian American students, St. Thomas University created a one-year scholarship and the University of Illinois in Urbana created a one-year scholarship. The following is a scholarship that is ideal for Cuban-American women. The Cuban American Scholarship Fund is a scholarship available to undergraduate or graduate students of Cuban descent. These students must have a minimum of a 3.0 grade point average to apply. Applicants must be citizens of the United States or legal residents of California in order to apply. The minimum award amount, which also happens to be the average award amount, is $750. The maximum award amount is $2,000. The Fund has the capacity to award five minimum awards, seven average awards and twelve maximum awards. I am a single mom with two children. My mother was Mexican American my father is Caucasian. I say my mother was because she passed away February 15, 2013. My father is around as long as nothing is expected of him. I am anxious to further my education in order to give my children a stable life that I did not have. Kansas City, Missouri is my hometown. Hopefully I will be able to to get my education here. I need direct answers that will be as honest as possible to let me know if financial help is available. Large loans with huge interests rates are not an option for me. Nothing else can be considered. Respiratory Therapy is my field of interest. I prefer a school that concentrates on this field and not on a four year University. Hi, Im a senior in High School and i need help with financial aid ,Ive tried to apply to as many scholarships as possible but only started doing so this month so i needed to know if theres any scholarships i can still apply to if possible. Excuse I’m a student from Honduras and I am applying for an academic scholarship in college but the scholarship does not cover the Housing and Board. Is there any solution, fundation or help i can get to pay this expenses? Because i don’t have money at all. At this time I am a first Mexican American woman to attend Urbana University online with a 2.89 GPA and independent woman working to support a family of six in Hayward,CA. I am seeking and looking for an opportunity to earn scholarships and also writing a book in hope to earn money to pay for my loans of University. I would one day make a difference and be a blessing. reach my goal. I hope Hispanic Women Organzation can help me. I have been accepted to the university of my dreams, Saginaw Valley State University. I am Puerto Rican, Mexican, and a little bit of Caucasian. I have two other sisters and my father is the only one out of my mom with a job to support us. They’re both hearing impaired so you can imagine how difficult it is for them to be hired anywhere. I’m the first in my family to be accepted and attending college but I have no scholarships or grants for college and my dad is trying his best to help pay, for which I am thankful. Therefore it would help me out so much if I had your help and I would be forever thankful! Thank you for taking the time to read this! I am a female in my 40’s and looking for financial assistance to cover my college expenses. I am currently enrolled in my Associates degree in Health Information Technology. Can someone help me with information? I’m a hispanic, single mom working towards an MBA degree part-time. Tuition is too expensive and I’m looking for any help I can get. Any information is appreciated. Thanks! i am a single female over 40 ,and have recently enrolled in school for BS in healthcare admistration. do i qualify for any scholarships? I am a student in my senior year of college and need assistance tuition. Are there any scholarships availble that I can apply for? I am a hispanic student on my senior year of high school. What scholarships can I apply for? Hi!, I’m 37 years old, I’m married I’m from Mexico but I’m an American Citizen since 2007. I have 14 years of experience as Spanish teacher. (private students) and Private schools in USA. I would like to know if I can qualify for a Scholarship. I have a semester from the National University in Mexico 1999. I want to finish college and become a Spanish Teacher for Elementary School, MSchool or HighS. I leave right now in Africa for my husband work (he works for the goverment) We will be here untill 2016. I would like to study online. please let me know if I qualify and what schools offer online college or University for Spanish teacheres (Language Teachers) Thank you so much for your response. Sincerely. Rosario C.
Is there a scholarship for Latinas in psychology that is merit based instead of fin aid base? I’ve been looking all over the web for scholarships to help fund my education. I’m a 39 year old, first generation college student. I am 75% Mexican, the rest is a mix of Spaniard and Comanche Indian. I don’t seem to fit much of the criteria out there. I was a single mom during my entire 20’s to early thirties. During this time I went to school and didn’t complete a degree due to health issues. Now, I am married with a total of three children. I work for a large city as an Accounting Assistant and recently started back to college part-time. When I am finished at the community college level, I will have 89 credits completed due to an out of state move and the changing of programs. When I transfer to a large public university here in Ohio, I am unsure of the course load I will be able to handle along with my professional and familial obligations. Dependent on this criteria, this might be a big reason why I am disqualified for MANY scholarships. I am hoping to further my education to allow for greater advancement and career opportunities. I am unsure of what program at this moment I will be focusing on but I have narrowed it down to: Finance, Accounting or Public Affairs. Can anyone help me? Hello my name is Gabriela Castro I am 39 years old but I want to finish my carer, I was working cleaning houses and in my last job for a CEO I have the worst experienced in my life in my work with harassment and I realized how hard I pay for procrastinate my studies. I have a desire to be able to graduate and help others. I don’t have the resources to pay the tuition but if is someone out there who is willing to help me with a scholarship please contact me . Hello, I’m a 21 year old half Peruvian, a senior at Arkansas State University, Jonesboro, AR and I work 2 waitress jobs. My goal is to become a neonatal nutritionist. Last year I grossed $16,000 while I supported myself, paid rent and lived off campus. Today I found out that because I made $16,000, I no longer qualify for some of the grant money I was counting on. My book fees and a $900 payment to the University are due Friday, September 18, 2015. If you can help, thank you! I use my Grandmother’s email for safety reasons. Thank you again. I am a 46 year old Hispanic woman, and I am attending Eastern New Mexico University, Portales, NM. I am pursuing a B.A.A.S., as I have recently completed an 18 month Radiologic Technologist program at Clovis Community College in Clovis, NM. My goal is to obtain a Master’s by the time I am 50, so that I can eventually go back and be an instructor for the same radiologic program at Clovis Community College. I am currently working full-time, but I am finding it a struggle to financially pursue my educational goals.